This is a “heart check”. I shared these words this morning with a few trusted friends, desiring for them to have a window into my soul. I long to be transparent and real on this journey with each of you, not just my trusted friends. So really, how have I been lately? Like, how’s my heart? Honestly, I write this post through tears. The best way I can describe it, is that I feel the constant tension of living in paradox. I often feel like a wrestling Jacob. (Genesis 32:22-32) Only my wrestle is all in my head and my heart. There’s a tension that all is NOT well in my soul, but at the same time IT IS WELL. Jesus – my faith in Him- is the ROCK which I prop my life on. He doesn’t call us to comfort. A very wise friend recently told me that a life of leaning on the ROCK is not comfortable. It’s hard. It’s rough. It’s dirty. Here are some of the uncomfortable, dirty bits of my life, living in paradox these days. 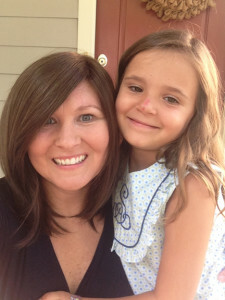 It ISN’T well: Recently my five-year old, very perceptive and “old soul” of a daughter asked if I’m going to die. She went on to share with me if I did die she would “cry in her pillow every night”. Heartbreaking. 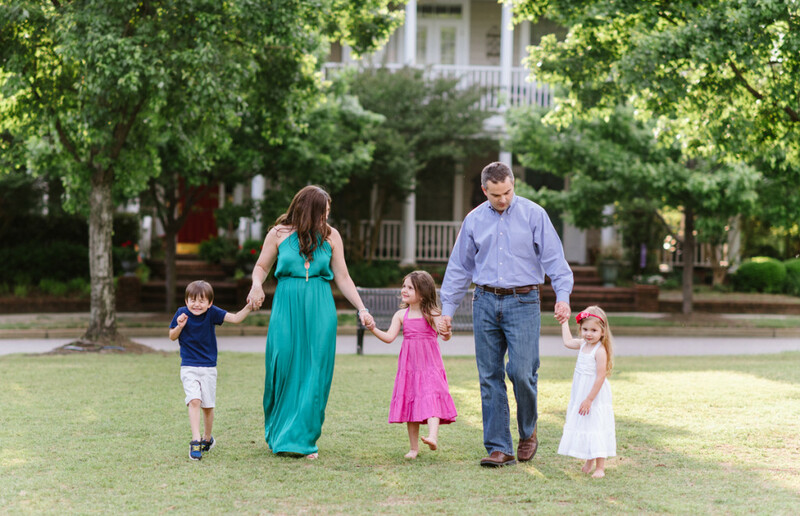 It IS well: This conversation, and the hot tears that it brought (still brings) has granted me the opportunity to wrestle with whether I really, and I mean REALLY trust the Lord with my children and husband. Through this wrestle, God is slowly prying open my fingers on my desire to control, manipulate, and micromanage their existence…to make it pain free and all joy. I’m releasing control to the story that GOD want’s to write in their life, with or without me. I’m coming to grips with the fact that this God, this Heavenly Father, this Creator, this Pursuer of my heart…HE CAN ACTUALLY BE TRUSTED. He created them too – He loves them more than I do, and He’s writing their story together for good too. Do you see? God is shaping my heart. He desires my heart….ALL of my heart. He doesn’t want me to be closed handed with even that which is closest and dearest and tender. Selah’s prayer. My prayer too. It ISN’T well: I watch my precious husband pour himself out all day at work, and then pour himself out at home because I lack energy… especially in the late afternoons and evenings. It IS well: I get to see my husband step up and be a picture of Jesus. I get to see firsthand how God is growing him as a man of God in the most painful and unlikely, yet the most beautiful way. I get to experience my love growing deeper than words can express. Our marriage is forever changed for the better, and thankful this happened 10 years into our marriage instead of 20, 30, 40 years in. We get to spend the rest of our lives together – forever changed in the best possible ways. 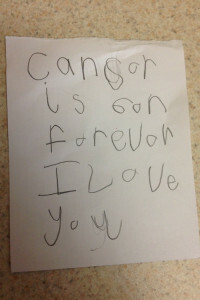 It ISN’T well: I fear that the cancer will come back. 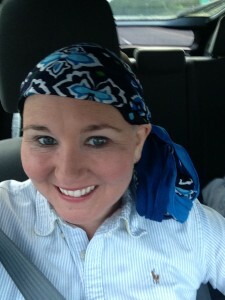 I have dread that I will have to go through the horrific chemo again. I plead “I cannot go through that again. Please Lord. No”. Knowing the medical stats that it’s usually the recurrence that is terminal. It IS well: Fear takes me to the cross. Fear fixes my eyes on Jesus as I realize I cannot control this. Fear takes me to His Word and His promises – especially the promise that “He will never leave me nor forsake me”. Fear causes me to reflect back at all the ways He carried me through chemo the first time and my heart can rest knowing if He takes me there again He will carry me again. It ISN’T well: Over the summer, I had to temporarily step away from a ministry that I love with all my heart. I wrestle with feeling disconnected and that I’m not needed…. That they did fine without me. It IS well: The Lord is continually using this to remind me that this ministry is not about me anyway!! It’s so gross to think for a minute it’s about me – so the Lord is revealing pride and then refreshing and reviving me in repentance as I am washed in His cleansing blood. Seeing the ministry thrive without me reminds me that it’s all about HIM, not me. I’m back (easing back in), and I’m so increcibly thankful for the amazing women God enabled through my absence. It ISN’T well: I’m in a medically induced menopause (at age 35) to keep my hormones at bay… Hormones that could cause the cancer to grow and spread. This menopause may or may not be temporary. A menopause with all of the usual side effects! Yes I now know exactly what a hot flash feels like and if you see me fanning myself you know why! It IS well: In menopause, and cancer, being able to relate to women who are suffering – in trials big and small. God is making me more empathetic, and compassionate, and I pray to minister through my suffering. Cancer is helping me to understand the paradox of being sorrowful yet always rejoicing in ways I would have never understood otherwise. “Take me deeper than my feet could ever wander” has been my prayer for a couple years now. I’ve been begging the Lord to grow me in ways only HE can do. 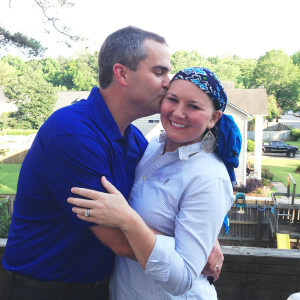 He’s answering my prayer – only cancer is how He is doing it. The “it is well” testimonies above are those deeper places that my feet have now wandered. Walking through cancer means walking through deep, deep waters. But with the deeper hard comes the deeper beauty. I would have never walked there myself. No one willingly wanders to cancer. But, in this case, that’s just what it’s taking to allow for this deep, deep beauty. It is well with my soul always wins. It may be through tears. It may take a time of wrestle. Like Jacob, I may wrestle all night, but also like Jacob I will come out of the wrestle with a limp …an indescribable way of walking that is set apart and different. This limp is a way of walking through life that’s different, and that others notice. And my limp is because of His presence and touch through the wrestle. The limp points ME and OTHERS back to Jesus. Limps aren’t ever pretty, but they point back to an experience from the past. That’s what this life is all about anyway isn’t it? This life of mine is just to point to HIM. It’s not to draw attention to my limp but point to the One who gave me the limp. I’m just the vessel. My heart is His, and although I’m sorrowful, I’m rejoicing. “It is well” always prevails. Limp and all. PRAISE! 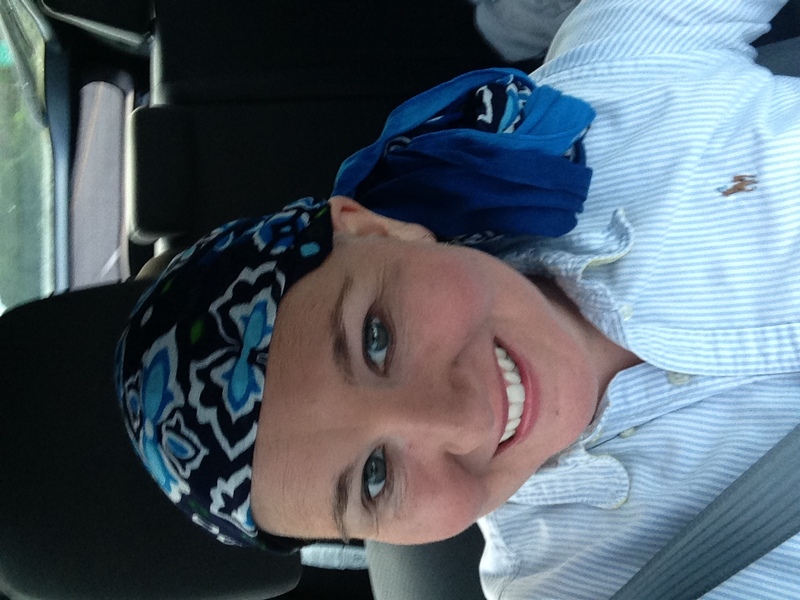 My 18 weeks of chemo is COMPLETE!! No “mo” chemo! PRAISE! The worst of the side effects of this final round of chemo seem to be over and I’m feeling better every day. PRAISE! The results of the MRI were remarkable. All that appeared were the tags they had inserted during the initial biopsy. An ultrasound confirmed there is NO SIGN OF TUMOR!!! PRAISE! Surgery has been scheduled for Thursday, October 1 and I have a complete peace about the details of this surgery. I will try to make another post with details. PRAISE! God continues to use this cancer journey in a powerful way in my own life: revealing sin, refining me, and allowing me to come to a deeper heart knowledge of who God is and His character. I am so grateful for each of you who take time to pray for me. We have been overwhelmed by your love and support for me and our entire family. We appreciate each expression of love, and every comment and message on Facebook, text, blog comment, and email. Please know I read every single one and God uses those words to uplift and encourage me! Although my words have been few here on “His Grace Abounds”, I want you to know that I’m always “writing” blog posts in my head! It’s getting them from my head to my laptop that is the challenge these days. The Lord continues to reveal so much to me about Himself through this journey through the valley of Cancer. As I mentioned before, when I’m feeling good I want to squeeze every bit of goodness with my children and husband- taking advantage of being able to get out and make memories with my people! During the yucky times it’s very difficult to do much more than rest. 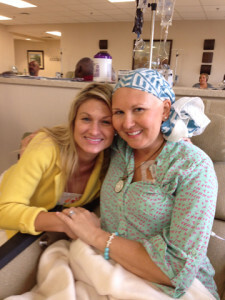 I had BIG chemo #4 on July 16. I went back to the clinic pretty much every other day for a week and a half to receive fluids, nutrients, and anti-nausea meds. I also had home infusions during the weekend directly following chemo. THESE CHANGES MADE ALL THE DIFFERENCE!!!! A little bit of “daily life” and some of the fun things we enjoyed as a family while I was feeling well: LOTS of pool time, Justin and I had a couple of amazing date nights, and I got to take Selah to her first theatre show! I’ve mentioned before that a cancer diagnosis gives a person a new perspective in life. Our family was big on “memory making” before, but now we are even more so. We treasure special times of doing fun, out-of-the-ordinary things. We also treasure our daily routine life in a whole new way. 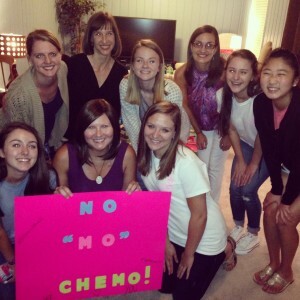 This is one way that cancer is a gift! And I especially cherish the days where my health allows me just to be out of bed and out of the house! I’ve had lots of these days recently and I’m so thankful. 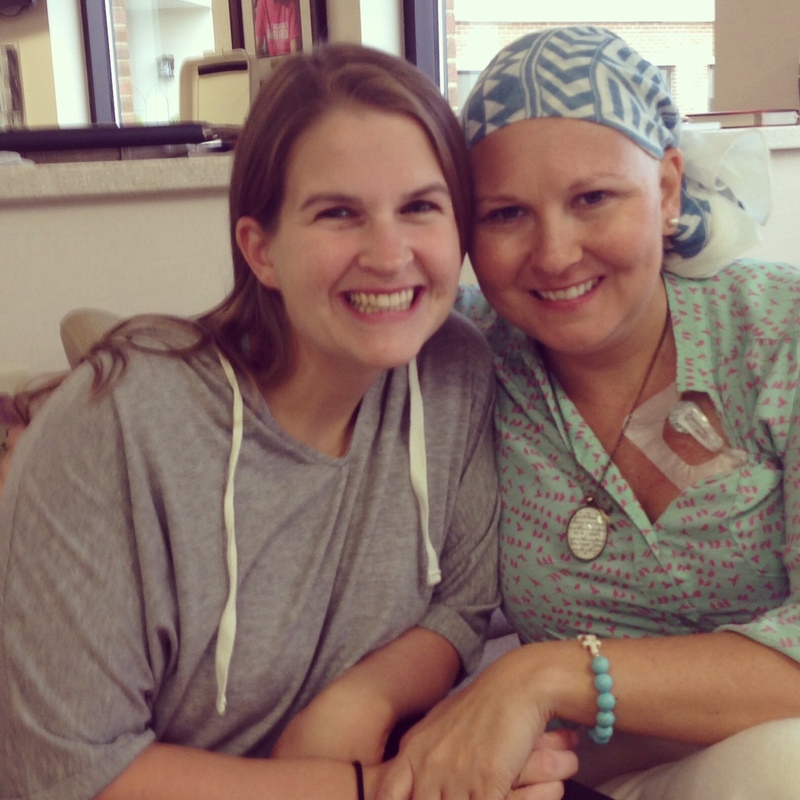 Yesterday, 8/5 was BIG chemo #5. I cannot believe that my next one will be my LAST BIG CHEMO and I get to ring the bell to celebrate the completion of this most difficult part of my journey. Oh, I can’t wait to ring that bell and give Myra (my nurse) the biggest hug ever!! And of course celebrate with my wonderful family and friends who have been beside me every step of the way! Some of you may be wondering, what do I mean when I say “BIG Chemo”? Every 3 weeks I have to go in for my BIG chemo. 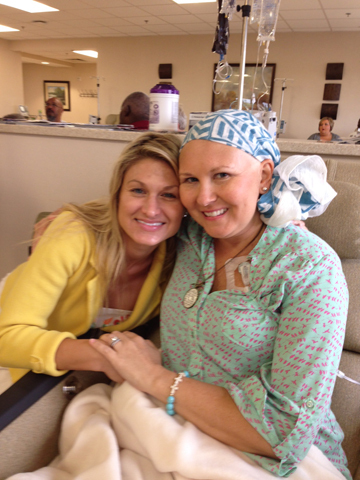 I receive 4 types of chemo drugs, in addition to fluids, Benadryl, anti-nausea, etc. The 4 types of chemo I receive (in this order, I believe) are herceptin, perjeta, taxotere and carboplatin. That day I’m in the clinic from 8am – 3pm at least. On the 2 Wednesdays in between the “BIG Chemo” I go to the clinic for what we call “little chemo”; I go in to receive only the herceptin (and possibly fluids, anti-nausea etc). After my last BIG chemo on Aug 26, I’ll have no more BIG chemos, and my little herceptins will space out to every three weeks. I will go every three weeks up until April of 2016. Herceptin has very few side effects. My chemo #5 went great yesterday. I enjoyed time with several special friends! Justin was traveling for work yesterday so my dear friend Lori picked me up REALLY early and took me to chemo and stayed nearly the whole day! one of the most precious of my kindred sisters in Christ, Maria, brought Lori & me lunch and visited. She is one of the most faithful prayer warriors and encouragers I am blessed to know and the Lord has accomplished SO much through our friendship. I could write a whole blog I love her so much. 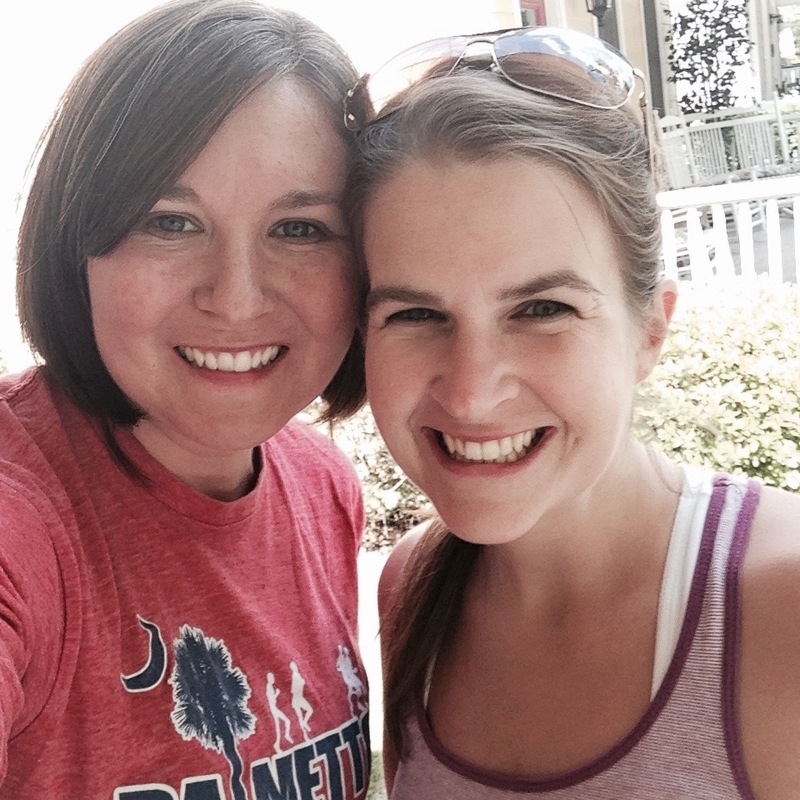 It was great to catch up with my friend of almost 3 DECADES, Sarah! Life happened and we hadn’t seen each other in two years so it was great to catch up and spend time together. Sarah and I grew up together, went to school together, and even were both Zetas at Clemson. The only “surprise” of the day was the my plasma numbers were too low; to the point that I almost was not able to get treated. They want my plasma to be over 100 in order to give a patient chemo, and mine was 94. Myra had to consult with Dr. Stillwell and thankfully she allowed me to get treated. (If she had said “no”, they would wait one more weak and let my body bounce back a little more). My red blood count and hemoglobin continue to be on the very low range and close to where I might need a blood transfusion. My magnesium and potassium continue to be very low also, no matter how much I try to eat foods rich in these nutrients. This is where we are seeing the cumulative effect of the drugs on my body. I am AMAZED and count it a miracle that I have felt as good physically as I have the past few weeks, amidst what is going on inside my body. Today, Thursday 8/6 I went back to the clinic for fluids, anti-nausea, etc and my neulasta shot (white blood cell booster shot). A friend from college, Ashlee (Carmichael) Moses and I had reconnected after TEN YEARS, and she brought me lunch and visited. That was by far the highlight of my time at the clinic today! I’m so excited she lives in Columbia now and we can catch up more frequnetly! Ashlee was my “big sister” in our sorority at Clemson. So far after chemo # 5 I’m feeling well and I pray it continues. *PRAYER~ a scripture you could pray over me is Phillippians 3:8. I especially love the Amplified version: “I count everything as loss compared to the possession of the priceless privilege (the overwhelming preciousness, the surpassing worth, and supreme advantage) of knowing Christ Jesus my Lord and of progressively becoming more deeply and intimately acquainted with Him [of perceiving and recognizing and understanding Him more fully and clearly].” The prayer of my heart is that through every part of my life, I am able to know Christ more fully and clearly through it. I pray through cancer I come to a deeper heart knowledge of who He is to me. *BOLDLY PRAY~ that this 5th cycle would be as manageable as the 4th cycle! God is good either way, but I pray for another “easy” cycle! Pray against nausea, weakness, and vomiting. Pray that I could continue to eat! *PRAYER~ that my plasma numbers stay up enough so that I am able to have my FINAL big chemo on 8/26. Also pray for hemoglobin and red blood count to stay at a good level. *PRAYER ~(unrelated to cancer!) for Samuel and Selah as they start Kindergarten at Center for Knowledge (CFK-Main Campus) on 8/19. Pray for a seamless transition and joyful hearts! Thank you, my faithful prayer warriors! My words flow out of a heart that is full and overflowing with the presence and joy of the Lord. Psalm 16:11 says “in your presence there is fullness of joy; at your right hand are pleasures forevermore.” His presence and joy ALWAYS co-exist! If I’m lacking in joy, I can always attribute it to a lack of time with the Lord. When the distractions of life overtake me (whether it’s the usual stuff of life or hard circumstances) and when my eyes start focusing more on those things than Jesus, my joy shrivels! Each and every time! I feel that’s what happened to me in the weeks surrounding my third treatment. There were some dark days which took me to a dark valley – physically, spiritually, emotionally. I was still reading God’s Word and praying, but it just felt dry. I couldn’t FEEL God’s presence. Can anyone relate? I sought comfort in the Gospel – with a true heart knowledge that I was 100% carried by our precious Lord in these times and knowing that He simply wanted me to learn what it meant to truly rest in His finished work on the cross and His all carrying arms. God was still teaching me through these dark days. He spoke a truth into my heart: “Faith isn’t faith if it is always FELT.” Those “mountain top” moments are amazing, but not how God intends for us to live life every day. Because at some point our faith goes deeper than our feelings. It’s in these times that the Word of God is more precious than ever because we read of the character of God, and the promises to those of us who believe. As Pastor George Crow (our precious Pastor at Northeast Presbyterian Church) always says “Jesus loves me this I know”…(how do I know this? )….”For the BIBLE TELLS ME SO”. It really all comes back to this, the simplest truth: trusting in what God tells us through His Word even when we don’t FEEL it. My feelings and emotions are so fickle! During this time, however, I longed for God’s joy-filled communion as I had experienced….even in other dark valleys I had journeyed through in times past. I wanted God to restore my faith-sight that I had at the beginning of my journey, when I had the deepest conviction in my soul that GOD WAS UP TO SOMETHING. I cannot even express the deep confidence the Lord blessed me with in those early days surrounding my diagnosis. That first week was a complete BLUR. 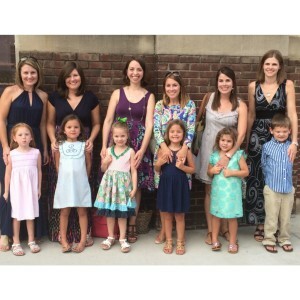 After the “It’s cancer” phone call, in the midst of my part-time ministry job, caring for my children and home, each day I found myself scheduling doctors appointments, meetings with people that we needed to share the news with face to face, etc etc. Not to mention processing the devastating news we had just learned. But in those days, I sensed God’s presence like few times before. Through God’s grace (ONLY HIM!) my eyes were fixed squarely on the “story beneath the story”, which is the story of FAITH that God was writing in my life. This is the often unseen story, and really it’s the BIGGER story. Cancer? That’s the small story of sight. It’s not eternal. It’s transient. But the FAITH story is eternal! I KNEW this cancer diagnosis wasn’t an accident. I was so confident that although God did not cause breast cancer, that He allowed it as His grace in my life, to do a million things in my life and others lives (some we get to see – thank you Lord – some we will never see this side of eternity)! I had JOY that the Lord had chosen me to carry this cross, and I waited expectantly to see all that God was going to do through this trial. I knew it was no accident and felt set-apart to suffer with my Lord. Joy, peace, hope. But in the days surrounding and after my third chemo cycle, I realized something had shifted in my heart. I realized I had shifted my sight from my Great God to my circumstances. I no longer felt the joy and peace of the Lord. My heart was full of dread for the upcoming cycles and the very real, very terrible side effects! But last week everything changed. 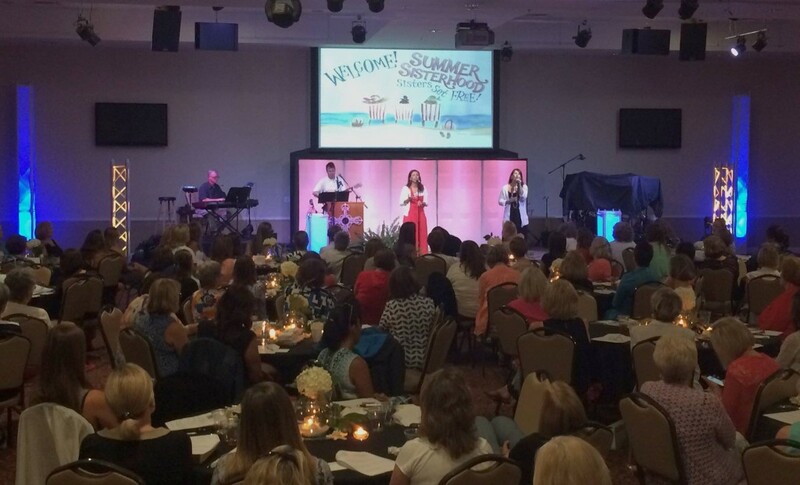 Last Wednesday I had the sincere joy of entering into the presence of the Lord with 200 of my closest sisters in Christ as Northeast Presbyterian Women’s Ministries presented an event called “Summer Sisterhood: Sisters set FREE!”. I was SO excited about this event because after our Spring Women’s Retreat the Lord impressed a clear vision on my heart for what He wanted this night to be. A night of worship, transparency and God Glorifying testimonies! We arranged for two amazing female leaders to lead our time of worship (check out Called Worship – Kerri & Carrie are incredible!). Three women shared powerful testimonies of how God gave them freedom in their lives, and we even enjoyed fellowship around a delicious meal. The night was all I could have envisioned and more, thanks to my Women’s Ministry Staff- Anne, Tara & Sharon and many volunteers, who executed the event beautifully! It blessed my heart to see and give hugs to so many of my precious sisters in Christ who have held my arms up during this time. 4) TRANSPARENCY: admitting that I don’t “have it all together” all the time. This may be a scary thought to some considering I have been called to serve as the Women’s Ministry Director of a large church…but as I grow in my journey I realize the importance of being real and vulnerable. Often one persons transparency can mean freedom for another as we exit the shadows and understand that many struggle in the same way that we do. 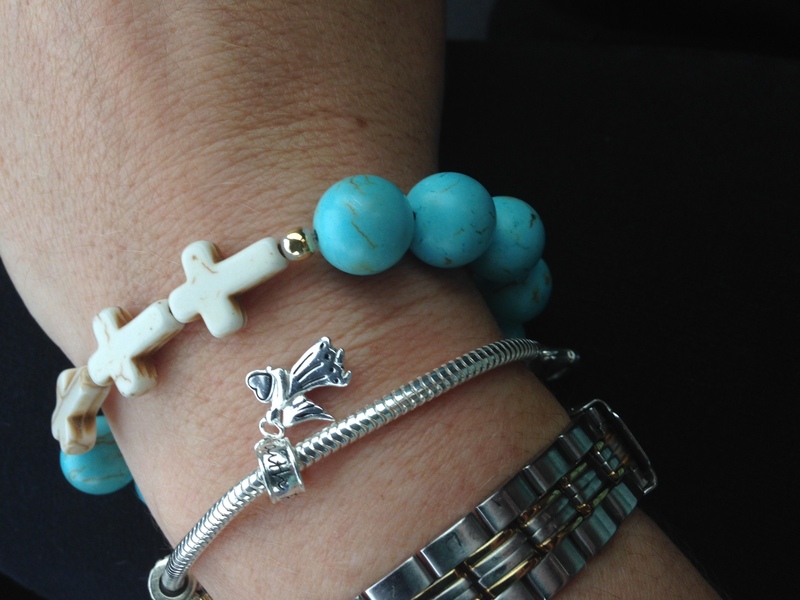 The BIG IDEA – the takeaway- I in myself am SO very weak, but our God is SO very strong. And often His strength is manifested and channeled to us as we enter into authentic community with other believers. 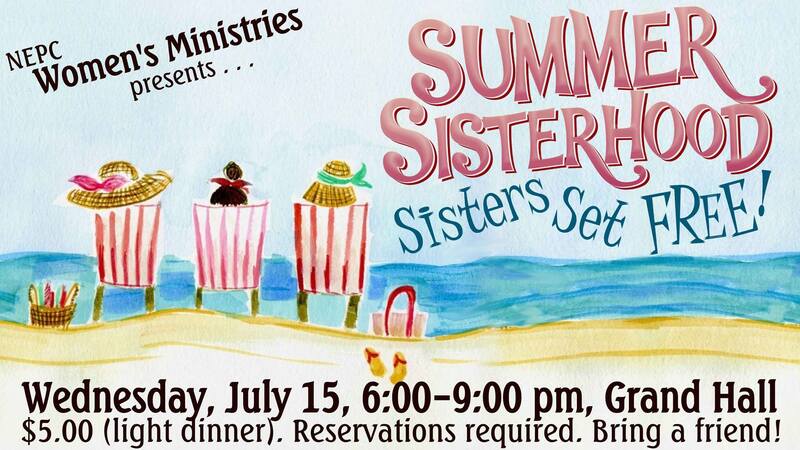 God could have “pulled me out of the pit” in anyway that He wanted- but He chose to use the Summer Sisterhood event at NEPC and my sweet sisters in Christ who ministered to me there. I needed to be surrounded by my army! Part 2 to come -where I will share the one day where I felt the very weakest in my own flesh but witnessed God show up in a mighty way! 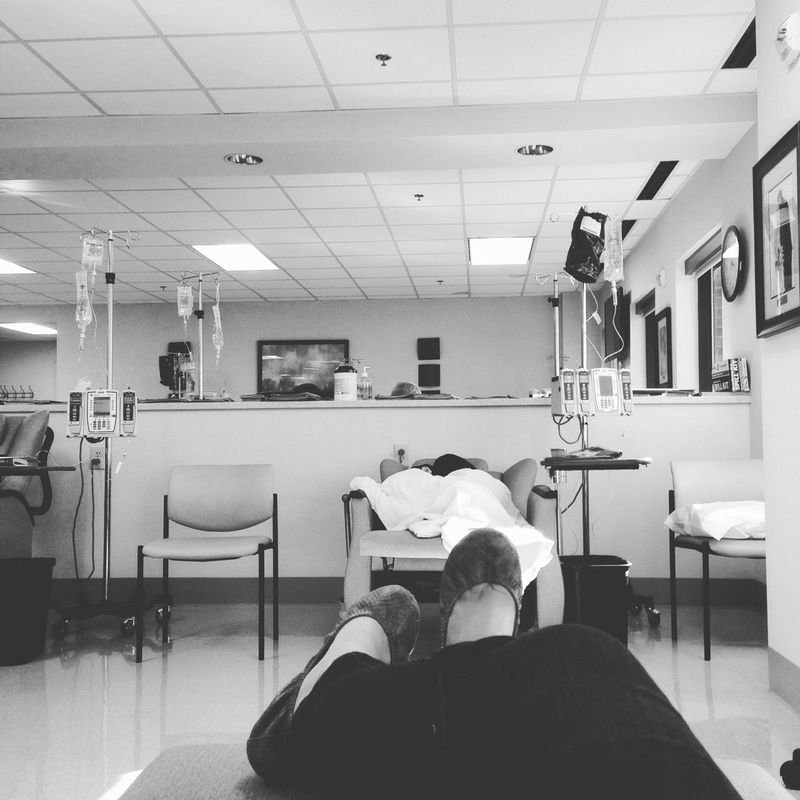 My fourth chemo was last Thursday, 7/16. That day went well although the meds they gave me made me very drowsy and I think I was a little glazed over for most of my conversations that day! I went in again to the clinic on Friday for fluids, anti nausea meds, etc and had a home health nurse show me how to administer the same over the weekend. YES I actually (very carefully) gave myself meds through my port this weekend! I will be back at the clinic on Wednesday for more of the same, plus my weekly herceptin infusion. I’m optimistic that maybe all these trips back to get hydrated and to get anti-nausea meds through my port (which work much better than oral meds), that this may be the secret to a more manageable couple of weeks. THANK YOU for your prayers and for journeying with me, and for allowing me to be transparent! This blog has been quiet! During the “bad weeks” I simply did not have the energy to post. During the “good days” I play hard with my little ones all day (and try not to be on my phone or computer too much) and at the end of the day just crash! 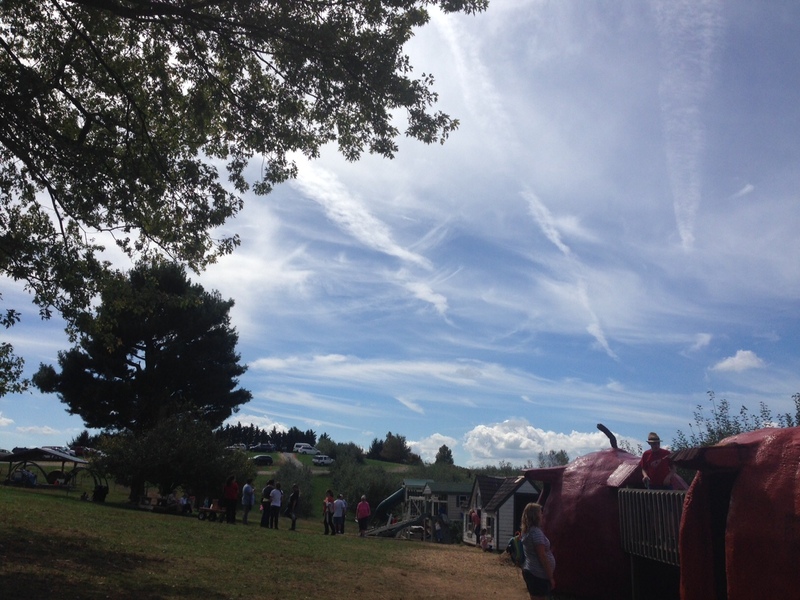 The last several weeks have been had ups and downs…. most recently more ups than downs, which I am very thankful for. But I want to recount the “downs” too. I’ve always wanted to approach this journey with transparency and not gloss over the hard. The hard has been very hard, but I have been seeking God’s treasures and glimpses of grace during those hard days! God’s grace is always there, and many times I need a friend to remind me of that and help me to see His grace on the darkest of days. A huge glimmer of grace in my life is the support system that the Lord has blessed me with. Literally EVERY SINGLE DAY I receive cards in the mail, some with generous gifts and gift cards, but always with exactly the words I need to hear that day. I have already filled up one box with cards and I am filling up another. My husband and children are seeing the love and support and we will never forget this time. All of you who take the time to send me a card, reach out to me via text, make us a meal, write a Facebook message, donate via goFundme or the t-shirt campaign…my “thank you” could never be adequate to express how much gratitude I have for each one of you. 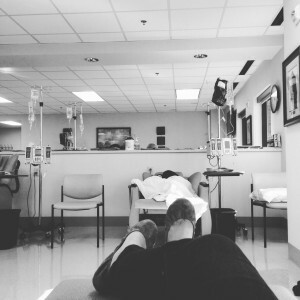 I had my third chemo treatment on Wednesday June 24th. The day after each “big chemo” I go back to the infusion clinic to get a shot of Neulasta. This shot helps counter act the drop in my white blood cell count. This is very important to keep my immunity as strong as possible! For cycle 3 they decided to also give me a bag of fluids and anti-nausea medicine to help boost me up a little and hopefully ease the side effects some. That definitely helped on that Thursday the 25th! I even went to the pool that Thursday afternoon with some friends and I was feeling SO encouraged! Friday I seemed to feel a bit better than the Friday in previous cycles. Then the weekend came. The chemo side effects hit in full force. I had heard that often the side effects are cumulative and get worse each time, usually plateauing after the 3rd or 4th cycle. I definitely experienced this accumulation effect, as this 3rd round was by far the worst! Nothing helped my nausea and vomiting other than lying perfectly still in bed or on the couch. Any bit of motion set it off. So I found myself lying in bed or on the couch trying to be as still as possible. I couldn’t eat – my appetite was nonexistent, but when I did often my stomach wouldn’t tolerate it, and that made me even more afraid to eat. Throwing up is no fun. On the two Wednesdays in between my “big chemos” I go into the infusion clinic for herceptin infusions. (This means that every Wednesday I find myself at Lexington Oncology). During these “shorter chemo” days they also do labwork and take my vitals. The Wednesday after the 3rd chemo I was pretty bad off. Justin had to wheel me into the clinic in a wheelchair. When they took my vitals my resting heart rate was 155 beats per minute! I knew something wasn’t right. I got sick in front of all the other patients, which had happened before but is pretty miserable. Because I was so bad off the glimmer of grace was that I got my own private room to get my infusion that day! Blood work revealed my potassium and magnesium were dangerously low (which could have been why my heart was racing), and after they gave me the herceptin I also received an infusion of those nutrients and fluids and anti-nausea medicine. My hemoglobin and red blood cell count has also been low. I felt much better after that, but unfortunately the nausea came back the next day. It was a very very hard couple of weeks. But by God’s grace, since about July 9th I’ve been feeling GREAT. I’ve actually felt better than I’ve felt since I started treatment! I believe it is God’s grace to remind me what it feels like to not feel sick and I am so thankful. We have been soaking up family time, I had an overnight date night with Justin in Charlotte, and I went on a short road trip to Wilmington with my girls and my mom while Samuel hung out with Justin and Pop (my dad). We’ve made sweet memories. I never realized how much I took my health for granted until I got sick! I pray I never take my health for granted again. And here I am, looking at the 4th chemo the day after tomorrow – Thursday, July 16. Praise the Lord I was able to move my chemo from Wednesday to Thursday this cycle because there is a Women’s Ministry event at NEPC tomorrow that I really wanted to attend, and I’m so excited to be there! I’m happy to say I’m halfway finished with chemo, which I believe will be be the most difficult part of this journey. Praise the Lord who has walked with me during the ups and the downs of this journey so far. 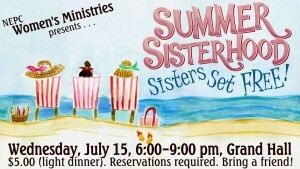 ~Praise God that I can attend our Summer Sisterhood Women’s Ministry event tomorrow evening! ~Pray against nausea after this next treatment. Pray I will be able to eat, and that my potassium, magnesium, and hemoglobin would stay at healthy levels. ~Pray that I would see glimmers of grace each day, especially the difficult days! Today was a great day, other than one major hiccup. I praised God to learn that my hemoglobin was back up to 11 which meant no blood transfusion! Hallelujah! The hiccup we had today was with the first chemo drug they administered called taxotere. Sometimes it can cause an anaphylactic reaction. During the first round, I was watched carefully as this drug started to drip, because the reaction occurs during infusion within the first 10 minutes usually. I felt for a split second last time like it was coming on, but then the feeling went away and I convinced myself it was all in my head because Myra (my nurse) had been talking about what the reaction was like. This round – round 2- within 6 minutes of starting the taxotere drip, I had that same exact feeling, only it did not go away. It started with a cough and almost immediately I felt my airway closing up. I croaked out to Myra, calling her over and said “Something’s happening!! !” It happened really quickly. 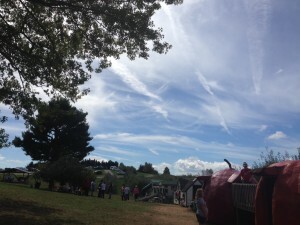 I felt like I could not breathe as my airway closed up. My entire body felt like it was going into shock. My face felt strange and like it was about to burst open (the only way I know how to describe it). All of a sudden, there was a whole team of nurses surrounding me~ stopping the infusion, administering benadryl, putting a cold washcloth on my face, taking my vitals. Dr. Stillwell even magically appeared right away. (she works on all the way on the other side of the office). My blood pressure was sky high; my heart rate was 140. My face was beet red (I am told). They put me on oxygen. It was seriously the scariest thing I’ve ever been through with my physical health. After everything stabilized, I had terrible uterine pain. It literally felt like a nonstop labor contraction. I jokingly told Myra (my amazing nurse) that I needed an epidural 😉 haha But seriously it was really painful for about 20 minutes. Finally that let up, and they let me rest and stabilize for about 30 minutes. Dr. Stillwell decided to give taxotere one more try but at a slower drip rate to see if my body could handle it. So they reduced the drip rate from 250 to 40. Way slower… I was so scared when they started that drip again because I was terrifyed that my body would go into that reaction again! But Myra stayed right there beside me, with all of the syringes of medicine drawn in case I needed them quickly again. I just prayed and prayed, and THANKFULLY by God’s grace I didn’t have a second reaction. Praise God!! Because of this hiccup, I was at the infusion clinic from about 8 – 5pm today. That may be WAY too much detail, but I want to write these things down, not to scare anyone who may go through this in the future, but to get someone prepared for what could happen, and also if it does happen IT’S OK. I believe God wanted me to walk me through something that scary to show me He would carry me through it. He was right with me. It happened at a time I had a friend visiting who brought me lunch and I emphatically said (hopefully not too harshly!) “PRAY FOR ME!! !” She grabbed my hand and prayed and calmed my heart. That was a gift. 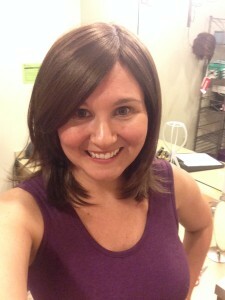 So now, with hair loss….. I knew eventually the dreaded day would come when it would be best for me to go ahead and shave my hair. I prayed grace over this day, because I knew how hard it would be. My hair had been falling out increasingly. It was becoming a big pain and I knew that very soon the “big day” of head shaving would need to take place. I did not want to PLAN this day, I just knew that I’d know when it needed to happen, and I’d just do it when I knew. I wanted it to happen organically and in God’s time. I wanted God to plan the day and then just reveal it to me. I trusted He would. And He did. First thing this morning, my friend Becky met me briefly at the infusion clinic on her way home from work (she is a nurse at Lexington Medical and works nights and had gotten off at 7:30am). One of the first things Myra said to me this morning as she was cleaning my port was “darlin, you know you’re hair is about to be gone…probably by the weekend”. Of course this got me emotional, anticipating that BIG dreaded day that I knew needed to happen soon. The day of head shaving. Becky said “why don’t you just come over after your chemo is over and I’ll shave it off”. . Right away I knew this was God’s plan. It felt right. She even bought me the cutest Vera Bradley scarf to celebrate this big day. Becky is a dear friend, and we have shared many dark and light seasons arm in arm. I knew I also wanted Justin to be there with me too. It felt like a very vulnerable time. So after the extra-long chemo day, Justin took me to Becky’s house. She put on Pandora worship music, we prayed together – asking the Lord to come and intersect our time together doing this dreaded and hard thing. We first used the scissors to cut my hair very short. Justin looked on, and with love in his eyes encouraged me, and provided comic relief. I have tears in my eyes as I type this because I will NEVER forget that image of my beloved sitting at that table, watching as his wife’s head gets shaved. He reminded me of the old Randy Travis song “I’m gonna love you forever” and that lyric that says “I aint in love with your hair, if it all falls out, I’d love you anyway”. This is true love, y’all. He’s amazing. There was no guarantee that I would get pregnant back then. Scripture doesn’t promise us that. Just as there are unknowns ahead in my journey. But I choose to praise Him through the unknowns. As that song started playing over the sound of the electric razor, I put my head in my hands and just started crying. I felt so loved, so cared for by our Great and Mighty GOD! I knew He had orchestrated every detail of this dreaded night, and wanted to remind me in every way that He was with me. He saw me. He cares for me. It’s simply amazing. Out of ALL the songs that could have played in that very moment it was one so close to my heart. The dreaded hard day was really not.that.hard. It’s all His grace. It abounds day by day. New mercies I see every morning. I want to encourage you – if you are facing a hard thing, get real about it, and face it head on. Beg the Lord to intersect that hard thing, and then have eyes to see the glimpses of His grace and presence in the midst of the hard thing. Often God calls us not to walk around the difficult parts of the journey, but trust that He will walk with us THROUGH them…sufficiently lavishing us with His grace along the way. I saw this tonight. I could continue writing because my heart is so full, but this post is getting too long. true love. in sickness and in health. this is not my real hair. although it could probably pass for it! I’ll post prayers another day. For now I’ll leave you with this verse. 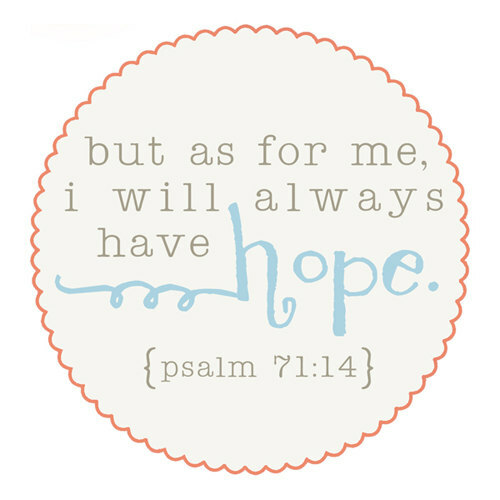 Its because of Jesus I have HOPE. Jesus is a sure and steadfast anchor of my soul. And the anchor holds. Who can hold the stars and my weary heart? I have been meditating on this lyric of the beloved hymn “Tis So Sweet” this afternoon and evening. How do we trust God when things are hard? When we walk through the valley; when tragedy strikes. It’s all His grace…even that we can trust Him at all is His grace. Oh, for the grace to trust Him more! I’m praying for grace to trust Him more throughout each step that lies ahead. A prayer of mine is to know God more myself through this journey. We see in the scripture that suffering draws us in a particular way deeper into fellowship with the Lord. There is much unknown in the days ahead, but instead of fear ruling in my heart, I choose to trust Him. God is the author of my story, and I trust His character. In this past week as I’ve been processing the Eddings tragedy, and finding out some terrible news from another dear friend, I’ve spent much time in prayer. God continually speaks to me “My daughter, I am good, and my mercy will endure”. When so much is unknown and difficult to understand, I just rest in His character, and that HE is God. Trying to understand God’s ways is like trying to get my three year old Hannah to understand calculus. That’s where our trust comes in…trusting in WHO God is in the midst of every circumstance. ~I have felt pretty well this week, with a couple of exceptions. 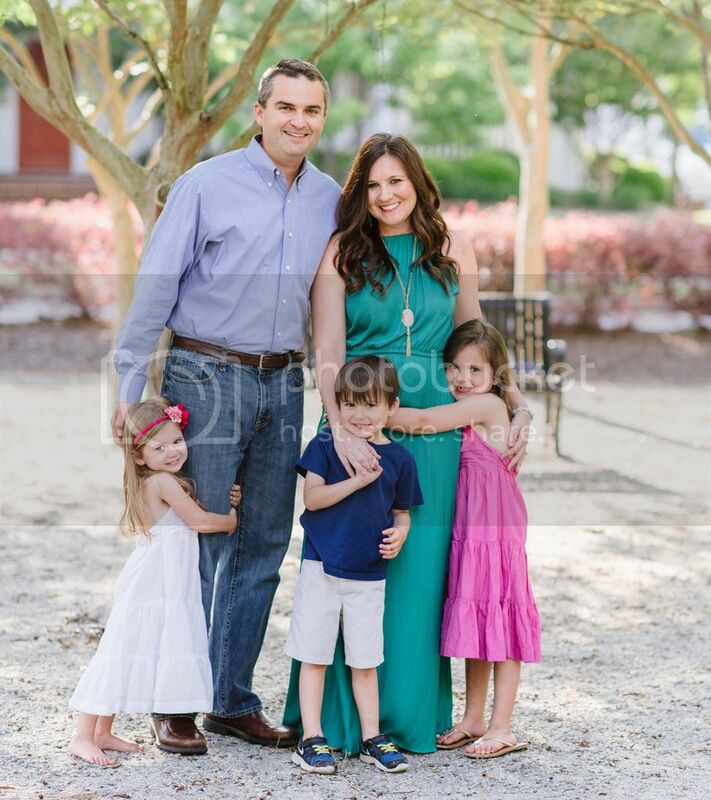 I was able to take care of my children and have enjoyed being a “normal Mommy” this week, taking them to the playground and getting haircuts; taking all three to the grocery store and getting a free Publix cookie…..this, my friends, is the “good stuff”! ~pray for my Genetic Counseling appointment on Tuesday 6/2. I have no idea what to expect so just pray for wisdom and grace over that time. ~pray against fear that the cancer has spread. Each time I have a headache or a pain anywhere in my body I have to take that thought captive! Thank you for your prayers, you’re amazing. 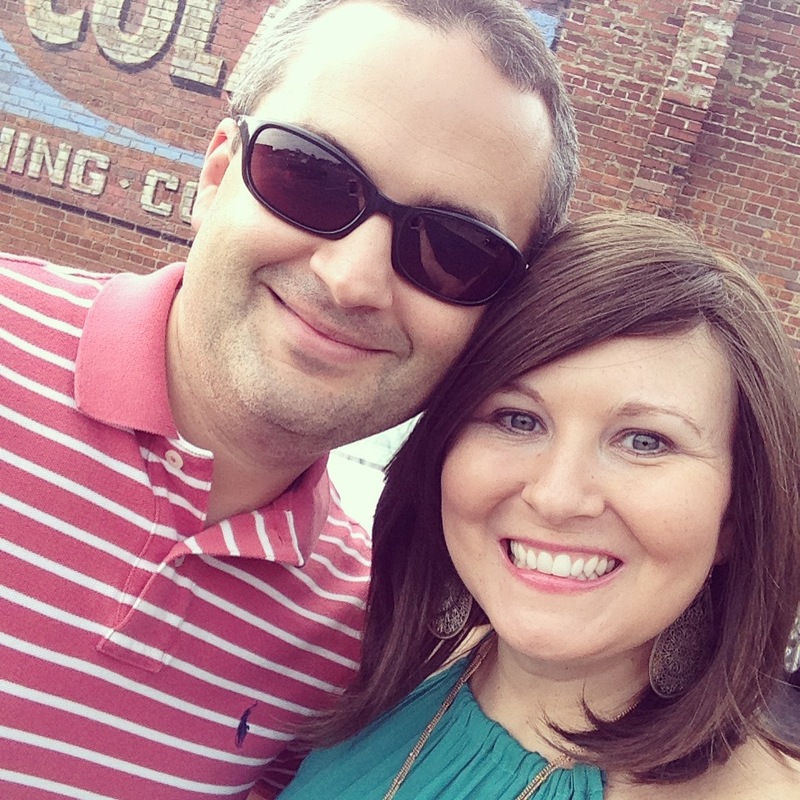 The tragic news about the Eddings Family weighed heavy over the weekend. But health-wise, I’m so thankful to share that I’m feeling much, much better. 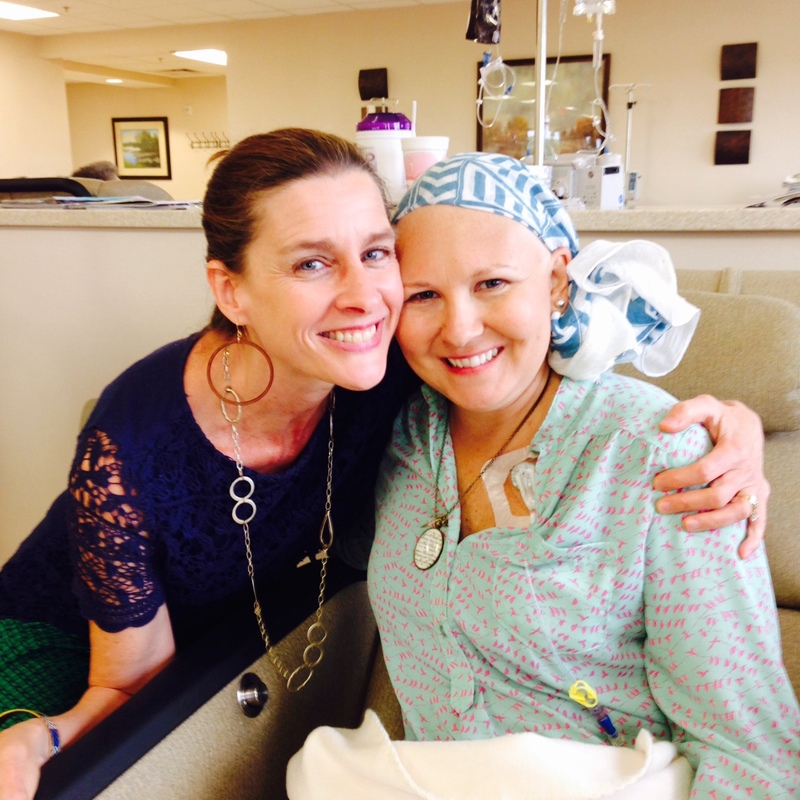 The first time I met with Dr. Stillwell, my oncologist, she shared the 3 week chemotherapy treatment plan that I would be on. I remember her preparing me that I would have 1.5 weeks of feeling “terrible”, and 1.5 weeks of feeling “ok”. Being the eternal optimist, I figured that I’d have chemo on a Wednesday, feel awful over the weekend, and be mostly back to normal life by the next Tuesday. I know, optimism can verge on delusion! That was one reason last week was so difficult for me – both physically AND emotionally. The side effects (mostly fatigue and stomach problems and lack of appetite, which contributed to the fatigue) lasted till Friday…not Tuesday like I was hoping. The week and a half of “terrible” and week and a half “ok” is pretty much how it’s playing out. Only the “ok” days have actually been “pretty good” days. And I’m so thankful to be feeling pretty good. I never knew how much I took my health for granted until I was mostly in bed for a week and a half! Saturday for a change of scenery we went to my parent’s lake house and I took it VERY easy in the shade as the children splashed and played and went tubing. I felt ok. My stomach was very uncomfortable but my appetite was beginning to come back at least. But Sunday– oh Sunday was AMAZING!! I remember waking up for the first time in a week and a half feeling like I could actually fix my children breakfast. I felt almost back to my usual self! I took a shower without sitting down! I fixed myself something to eat and drink, and I was actually hungry! Our family went to worship together and I felt like the sermon was just for me. During worship we sang some of my favorite songs, including a song called “Joyfully”. One of the lyrics of this song says “Your goodness chases after me”. These words always go straight to my heart because they speak of the relentless pursuit of our Lord, and His goodness over our lives. This is a good description of my weekend, but overall my life. His goodness, YES, it chases after me. After church we even went to Red Robin to eat lunch with our friends thanks to our friends the Berrys who had given us a gift card! It was so amazing, I almost forgot that I was a cancer patient. Later on Sunday I even went for a nice long walk with my sweet friend Lori, complete with great conversation of course. Since I was exercising before, Dr. Stillwell says to continue to exercise as much as I feel up to it. 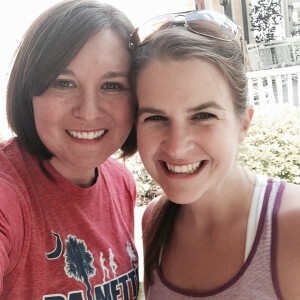 sweet friend Lori who loves running and Jesus as much as I do. She’s slowing down to walk with me these days! 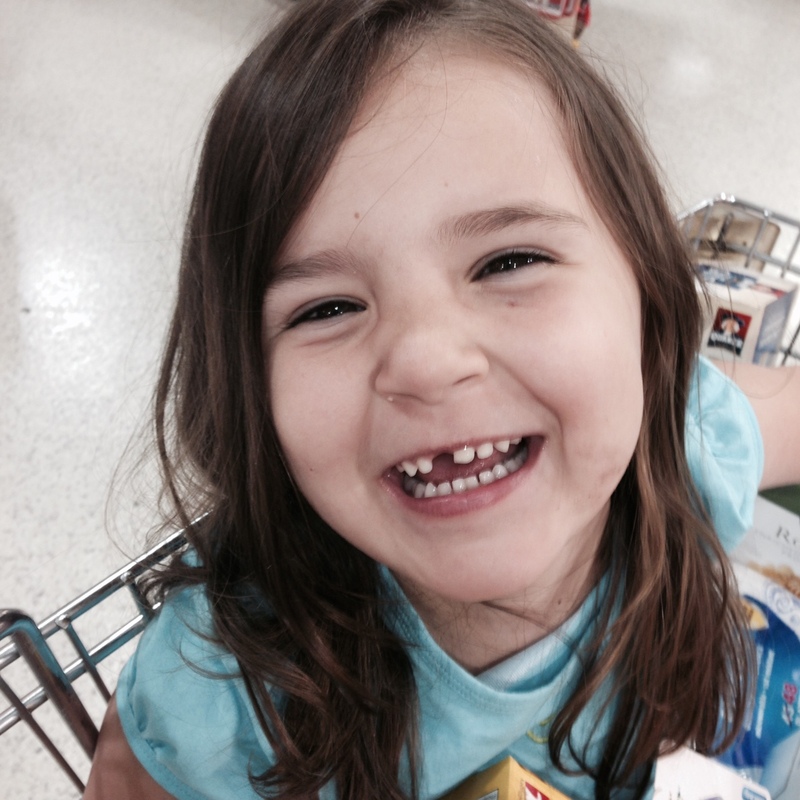 And to top it all off, I took Selah grocery shopping! Under usual circumstances, this would NOT excite me! But something I’ve come to realize is that cancer gives you “new eyes”. Just feeling well enough to go to the store was a BLESSING. I was drinking it in, and enjoying every minute of it….from rolling the windows down in the van and belting out Kari Jobe’s “Forever” on the way there and back with Selah singing in the back seat. All of these seemingly small things are a straight up GIFT from God. Oh how I pray I never take them for granted again! cherished time with Selah..even at the grocery store! Monday was another great day where I had energy! We went to Chickfila with the kids for lunch and spent the entire afternoon with the Pittman family at the pool. It was a lazy, easy, fun day. During these days where I feel good, I’m soaking in every moment with my precious family. Right now I’m focusing on my Lord, my health, and my family. Those are the important things and all else is falling away. I want to live these days to the FULLEST…doing things we’ve been putting off, or doing things we wouldn’t normally do. I want to live spontaneously, lightly, and joyfully. I want to reconnect with friends we haven’t seen in a while. 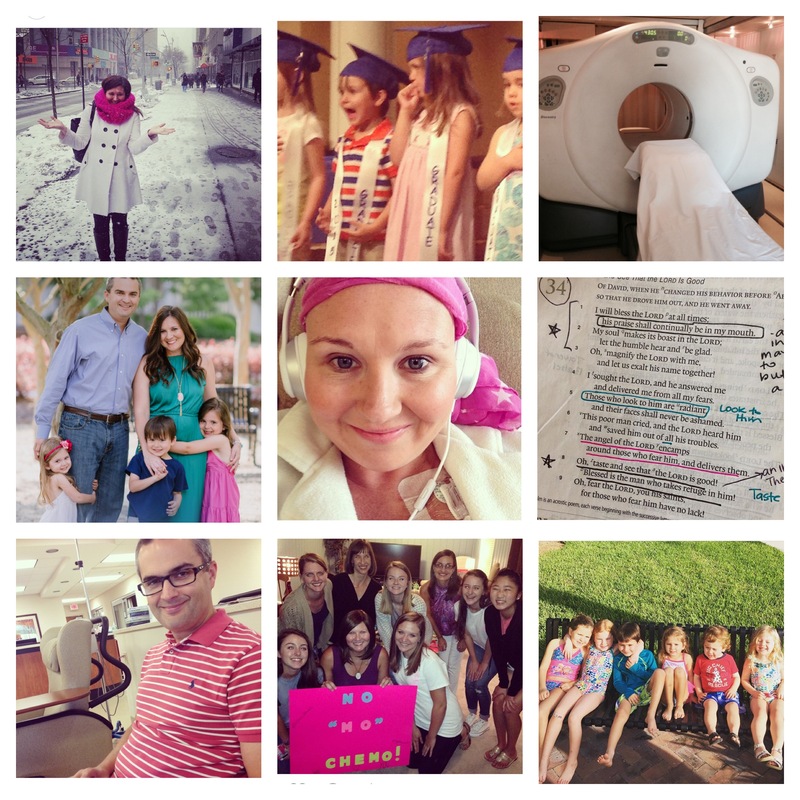 These are all the treasures I’m finding in cancer, and I thank God for these weeks where I will feel well enough to live life to the fullest. My next treatment is Wednesday June 3, and the nurses say typically this one is more difficult than the first because the chemo accumulates in your system. (For any medical people, I apologize if I’m describing it incorrectly!). I pray that it will be easier all in all because I’ll know better what to expect. Shortly after the second treatment is when they expect I will lose my hair. I can tell some of it is already “releasing” but not clumps yet. It just feels like the amount I lose when I was nursing. (All you Mamas know what I mean!) . My heart is in a good place with the hair loss. I’ll never stop thanking you for the outpouring of love and support we continue to feel. Thank you for choosing to walk this journey and read along with me. God continues to speak to me so much and I am thankful to have an “outlet” to express what He is doing in my heart in my time with Him. I pray it blesses your heart and my deepest desire is that this blog in someway, somehow, draws you deeper into God’s presence. His goodness chases after us, indeed. *My family and Justin’s family who have stepped in and served us so well..helping in so many ways but mostly loving on and caring for my children while I cannot. They are a blessing and I don’t know what I’d do without each one of them. *A precious visit from my sister who loved on me. I cherished every minute. *Two precious survivors that reached out to me yesterday at the hospital during my Herceptin infusion, providing me with encouragement. One of which was a 37 year old who I had a long conversation with and we really connected. *My Justin…he’s been amazing. My children…they’ve been amazing too.